Add 30 water type damage to the opposing pokemon. APPLY weaknesses and resistances. 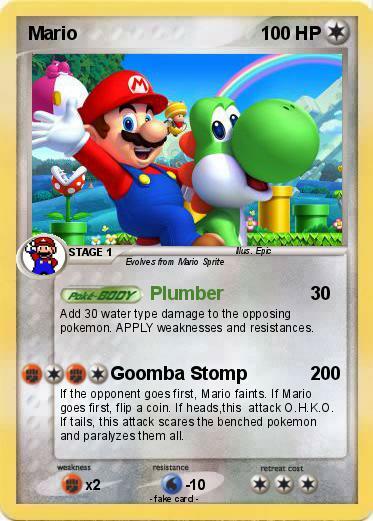 If the opponent goes first, Mario faints. If Mario goes first, flip a coin. If heads,this attack O.H.K.O. If tails, this attack scares the benched pokemon and paralyzes them all.